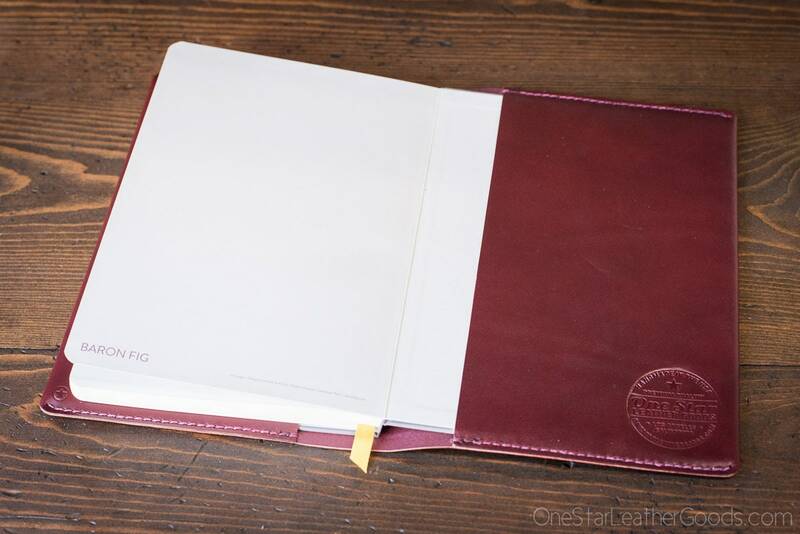 Baron Fig Confidant Plus notebook and cover. Fountain pen friendly paper, covered in luscious hand stitched leather. 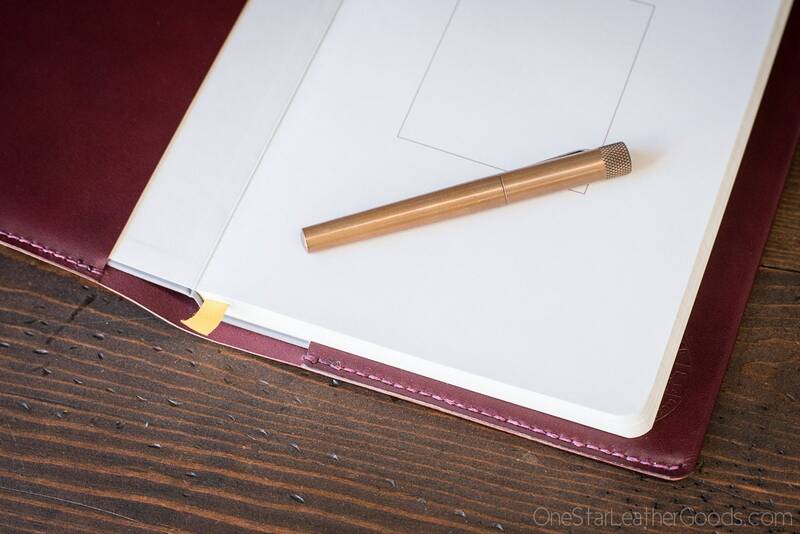 Baron Fig makes a wonderful fountain pen friendly notebook called the Confidant. 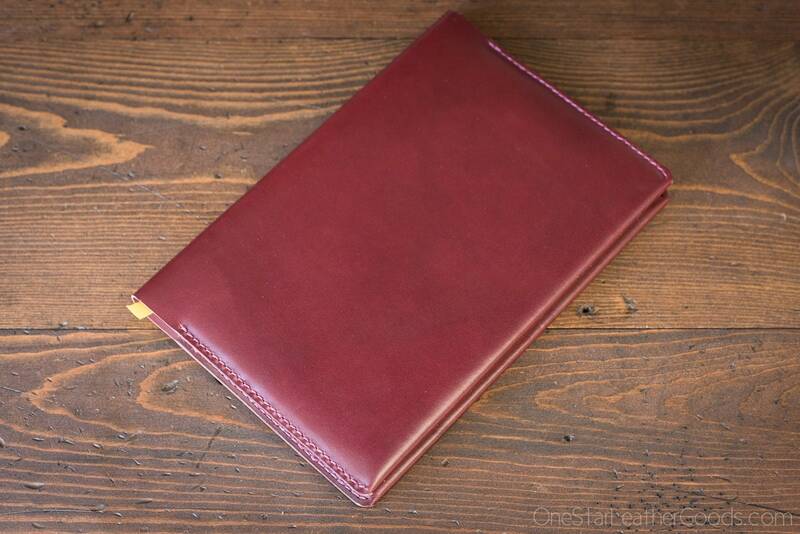 This cover will protect it and when you use up the notebook, you can pop another one in. Ships with a ruled Confidant notebook installed. No stitching on the spine means thread will not wear through over time. Folded flaps means buttery smooth edges. 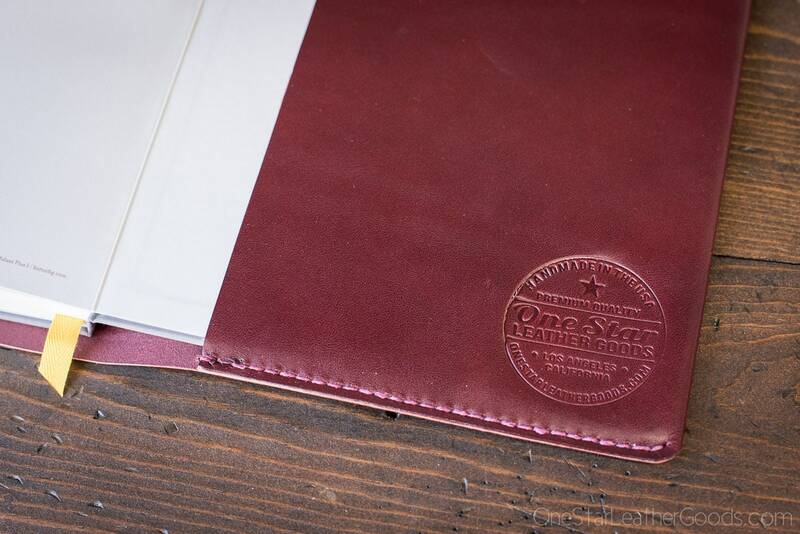 Leather construction means it will evolve with you through use and become more and more beautiful as it forms to the notebook and ages to perfection.